If you are interested in becoming a virtual assistant let my over twenty-three years in the business be your guide. Having an experienced VA on your side as you begin your practice can make the difference between success and failure. 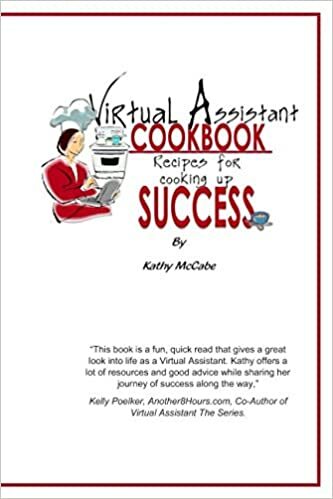 Be sure to read my book, Virtual Assistant Cookbook; Recipes for Cooking Up Success available at Amazon. If you’re interested in hiring a VA but aren’t sure how to convey what you need, let me help. Even if you don’t hire me, I can help you get the most bang for your buck by helping to find a perfect fit between you and your virtual assistant.